Google Chrome is slowly getting newer extensions to extend functionality in Chrome browser. 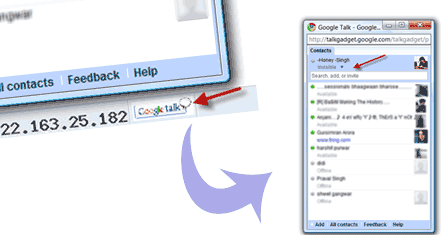 Gtalk extension is latest Google Chrome plugin that allows you to open Google Talk window while on any webpage in Google Chrome browser. After install, you will see a Google Talk button at bottom toolstrip bar in Google Chrome.